Just before WonderCon this year, I got an email from Conor McCreery, asking if I’d be interested in talking to him and his creative partners Anthony Del Col and Andy Belanger. 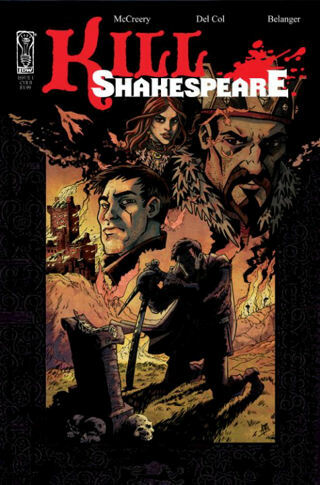 They had this new book coming out from IDW called Kill Shakespeare, and apparently in Canada they didn’t know how people had been going nuts for it in advance. For the hype alone, I jumped at the chance to meet these guys. Then they sent me an advanced look at the book, and I knew that I HAD to sit down with them. The only way this would not be my favorite series this year is if J. Michael Straczynski gets around to finishing The Twelve in 2010, and then I may just keep Kill Shakespeare in the top slot out of spite anyway. 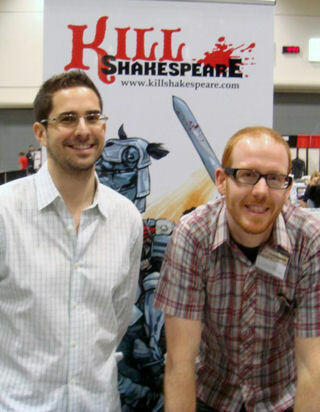 In today’s section of the interview, McCreery and Del Col talk about their inspirations and tackle the hubris of turning Elizabethan fan fiction into incredibly entertaining graphic art — and artist Andy Belanger speaks up, but will get a lot more of his two cents in as Part 2 of this interview. Derek McCaw: Who came up with this idea? Who approached who? Anthony Del Col: Well, Conor and I are the co-creators of it. It was actually about five or six years ago. We were sitting around trying to brainstorm ideas for videogames. We started talking about Kill Bill, which I think had just recently come out at that time. We thought hey, let’s do a videogame like Kill Bill, only instead of trying to track down David Carradine, they try to track down Bill… (eyes widen) Bill Shakespeare! All of Shakespeare’s characters together in the same world and they’re on a quest to track down and get… actually, that’s a really cool idea! Anthony Del Col: No, no… right off the bat we thought hey, this is fantastic. Instead of a videogame, this could be a film. This could be a huge, epic live-action Lord of the Rings type action adventure. So we went off and wrote fifteen pages of what the story was, and it’s very close to what it is today, with some changes. There’s actually someone from today’s world, who finds this portal that goes off into Shakespeare’s land and it’s Shakespeare’s characters. Then we put it on a shelf. We were quite busy; I was busy in the music industry managing a couple of high-profile artists, Conor was off in the business news world, writing and producing. Then about two years ago we pulled the concept off the shelf, started revamping it, redid the story and realized hey, it’s actually a comic book series. Conor McCreery: That’s where Andy came in. We started off looking to put together the concept art so we could see if anybody thought this looked good, so we came to Andy and said, hey, Andy — we didn’t know him, but we knew him by reputation – would you be interested? Andy Belanger: Yeah, they approached me about eighteen months ago with the concept. Right in our first meeting I could tell that was something that would work really well. Shakespeare has fans already. It’s a built in market. I really thought this could be a successful property just based on their initial pitch. So I’ve sort of been there the whole time. I did character designs and six sample pages. Then it was just like, okay, go for it, guys. See if you can find a publisher! 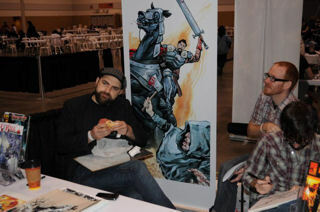 Anthony Del Col: Then last February we went out to New York Comic-Con. That’s when we first started pitching it to publishers. Right off the bat everybody loved it. IDW was one of the first publishers we sat down with. Anthony Del Col: (laughing) He’s like, “How did you get that reference?” I’d been reading! I’d been doing my research! That kind of sold them on it. They saw the potential. We had five publishers that were interested in publishing it. We signed with IDW because we liked them from a business and a creative perspective. They’re a very good team, up and coming publisher, and we also liked what they’re doing on the digital front, too. 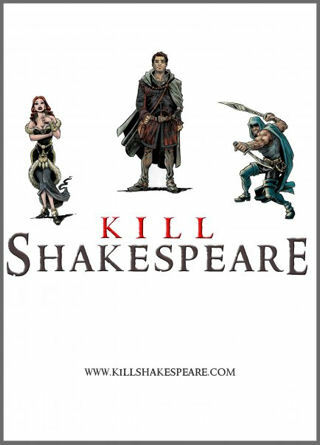 We love the concept of putting out Kill Shakespeare as an app on the iPhone and the Blackberry. Derek McCaw: Okay, so you’ve got the Shakespeare background. And Shakespeare’s got lots of fans. You’ve obviously made a lot of changes. Certainly your take on Rosencrantz and Guildenstern will run counter to people’s views on them. What went into your decision making process on this? This is the story that Shakespeare lied about? Conor McCreery: One of the things that I first thought when looking at Hamlet the play, here’s Claudius, he killed Hamlet’s dad, he’s got to be a bad king, right? He’s got to be. He murdered the king to get the throne. Except when you read the play, there’s no commentary about anybody being upset that Claudius is king. Obviously they don’t know about the murder, but there’s not even like oh, the new guy is worse than the old guy. In fact, one of the few references to the royalty at all is about how Hamlet’s father was this military king. So there’s a serious discussion about well, was Hamlet’s father maybe not a good king? Even with Shakespeare’s own work, Shakespeare left little clues that just because (he’s) writing something, doesn’t mean it’s true. And so we said, hey, let’s play with that. So Rosencrantz and Guildenstern were something that we thought, what if? We don’t really know what happened on that boat in the play. Why couldn’t they have been different types of guys? Maybe they really did love Hamlet. That’s one thing that we think is fun, picking little characters like that and giving them a new spin. If you’re a Shakespeare fan, you think “oh, well, that’s different.” And if you’re not a Shakespeare fan, then that’s cool. Hopefully, you’ll get into Shakespeare from this, then go back to Hamlet and look at Rosencrantz and Guildenstern and say, well that’s not what I read in Kill Shakespeare. And you’ll either like it better, Shakespeare’s way better, or sit there and go oh, then really look at these plays and think what else is there that has kind of been hidden from me by Shakespeare. Shakespeare was fantastic at writing one thing, but giving all these clues that that may not be the real truth, which is mind-blowing. Derek McCaw: So how much research did you have to do? Derek McCaw: Yet there are a lot of details. 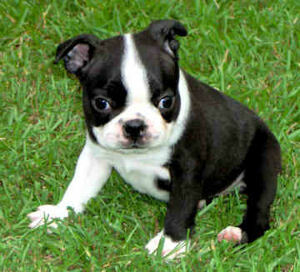 Wasn’t that Launce Gobbo’s dog in the graveyard scene? Conor McCreery: It’s funny, because other people have said that. 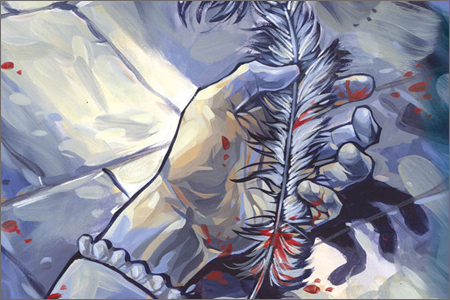 To be true to Shakespeare, we’re trying to put everything that Shakespeare did into the story. It’s action adventure predominantly, but we also have love and romance. (Here Anthony revealed a later plot development; for surprise’s sake, I’m leaving it out.) We’ve got drama, we’ve got plenty of violence, we’ve got double-crossing and cross-dressing. We’re trying to throw everything in there. Throw a dog in there! We’ve even got a play within a play. One of the things we’re trying to do is make it accessible to everyone. If you know nothing about Shakespeare, you can get into it. That’s one of the reasons we wanted to stay away from knowing every single thing about Shakespeare’s plays. We just wanted to have that kind of perspective for the average person, who maybe read Romeo and Juliet in class, whether it was a year ago or twenty years ago. So you kind of know that stuff, but you don’t know everything. We didn’t want it to hinder our choices with respect to characters or story. Derek McCaw: I thought it was an interesting fantasy adventure regardless. Anthony Del Col: Yeah! YEAH! Exactly. If you haven’t read Hamlet, at least you know who Hamlet is, or Othello or Richard the Third. It’s basically to incorporate all these into a really fun adventure and events that everyone can love. That’s the real goal. If you’re a Shakespeare fan, you have the ultimate “what if” question. For instance, what if Juliet had survived? Derek McCaw: (laughing) That’s been burning in my mind every time I read the play. 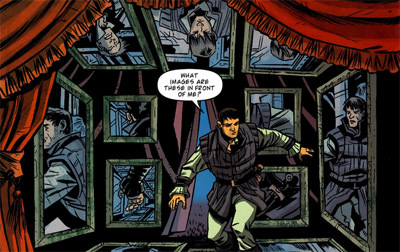 Conor McCreery: We didn’t want to get caught up in what’s before, but when you pick up the first issue, we do a really quick recap of where Hamlet was to date. That’s really all you need to know to jump into the story. All the other characters explain themselves or are explained by their choices and their actions. You don’t need to be sitting there going, “I don’t know Shakespeare, so it’s not for me.” Actually, it’s even more for you if you don’t know Shakespeare.